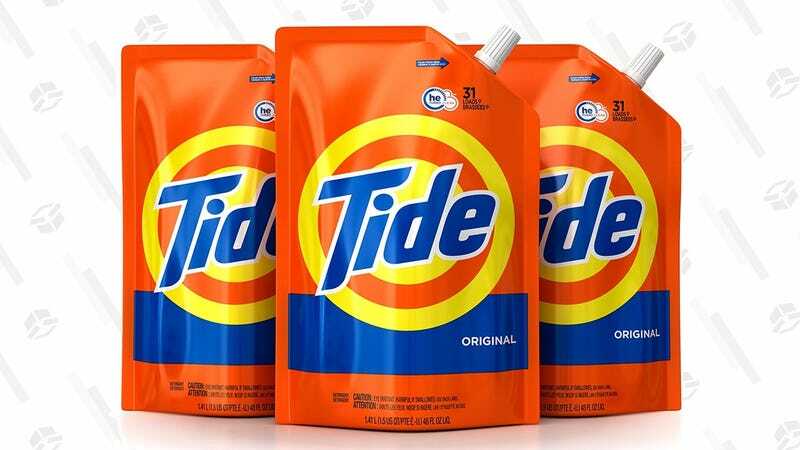 For a limited time, Amazon will sell you three pouches of Tide HE-compatible laundry detergent (totaling 144 ounces or 93 loads) for just $14 after you clip the 20% coupon. These pouches are designed basically as refills for plastic Tide bottles, but as long as that doesn’t bother you, this is a fantastic price-per-ounce for any detergent, let alone name brand. Just be sure to clip the coupon on the page, and use Amazon Subscribe & Save for even more savings.